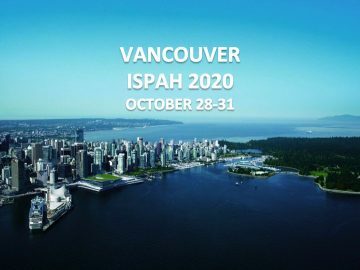 The University of British Columbia’s School of Kinesiology (Faculty of Education), the Indigenous Physical Activity and Cultural Circle, the Vancouver Convention Centre, and Tourism Vancouver are proud to announce that Vancouver will host the 2020 International Society for Physical Activity and Health (ISPAH) Congress, October 28 to 31, 2020. The ISPAH Congress is held every two years and represents the world’s largest forum related to physical activity and public health.The ISPAH is recognized as the leading global society focusing on promoting physical activity across the lifespan. They partner with international and national agencies to promote global health. Vancouver 2020 marks the 10-year anniversary of the Vancouver 2010 Olympic and Paralympic Winter Games, and the last time this congress was held in Canada. Key objectives of the conference will be to advance our knowledge of the benefits of physical activity for optimal health and well-being across the lifespan and to transform our understanding of wellness within Indigenous communities.